Tired of Losing the ‘Lose Weight’ battle? Let’s be honest, the game of weight loss is stacked against you. A review of the ten most popular weight-loss programs found that except for Weight Watchers, none of them offer real proof that they actually work at helping people shed pounds and keep them off. Only Weight Watchers had strong evidence that it worked — with one study showing that participants lost around 5 percent (about 10 pounds) of their initial weight in six months and kept off about half of it two years later. Really? You lose 10 pounds and gain 5 pounds back 2 years later? And to be clear, these diets probably do work… when they are followed properly. Unfortunately, it seems most people can’t stick to them. Obesity rates exceed 25% in more than two-thirds of states (38 states). Adult obesity rates rose in 16 states in 2010. NOT EVEN ONE state decreased. Over the past 15 years, diabetes rates have doubled in ten states. New research on successful dieters will disappoint those hoping for a magic-bullet solution; most had simply eaten less, and healthier, food, and exercised regularly. But judging by their accounts, it is entirely possible for anyone with enough willpower to accomplish permanent weight loss. The experience of Russell M. Lomando, 47, of Brooklyn, is less dramatic than some weight loss stories, but probably more typical based on research findings. ”I was 39 years old and I was walking up the train stairs in Brooklyn huffing and puffing,” he said. One day, climbing the subway stairs, Mr. Lomando made up his mind to gradually cut out the junk. The challenge for most people lies right there: finding the will power and motivation to keep going, despite set backs, stress, and our own bodies instincts to hold onto our fat for survival. Then you need to listen carefully to what I have to say. It could save you a lot of time, money, and disappointment. In fact, I can tell you with complete confidence that you’ve NEVER SEEN anything like this before! It can literally change your life! 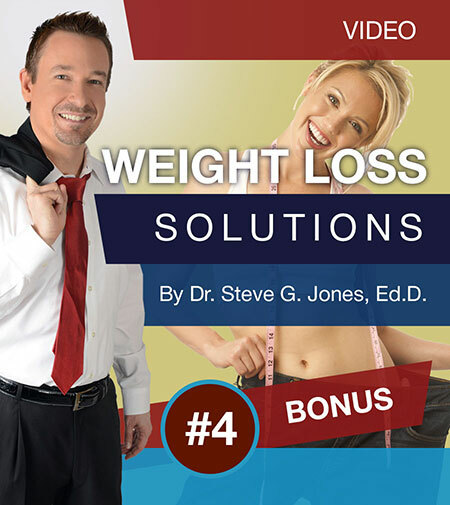 “Steve G. Jones has helped me lose that unwanted weight I thought I would never lose. “It was easy, just like he said. Everyone knows they have to eat better and exercise more, if they want to drop those unwanted pounds. So why is it so hard? There are a lot of psychological reasons as well as physical and genetic reasons why we find it difficult to reach our ‘ideal’ goal weight. And the truth is that unless you are incredibly persistent, almost obsessive, losing that weight is going to be very difficult. I have worked one-on-one with many clients, using hypnosis to help them deal with issues blocking their success in weight loss. I wondered what would happen if I worked one-on-one with you? But at a rate far below my usual $25,000 for a two-hour session fee. So I recorded a series of Hypnosis videos which are set up exactly as they would be if you were in my office with me. It’s just like spending time with me, but at your convenience. Hypnosis For Constant Confidence will give you the confidence and security, you need to continue with your weight loss program. If you have tried and failed so many times, you no longer belief you can achieve your ideal weight goals. Face it, if you don’t enjoy what you are eating, you won’t continue eating it. The biggest problem most failed dieters have it resisting the pies, ice cream, chips and burgers that have massive emotional ties from our childhood. And most diets restrict eating them. The result? When you have a stressful day (like everyday), you fall back into your ‘bad habits’ and pull out the ice cream. But what if you switched those ingrained habits and enjoyed eating the foods that supported your weight loss? That’s exactly what this personal hypnosis session with me will do. When you start becoming successful with your weight loss, an interesting phenomenon emerges. It is fascinating for us Hypnotherapists and Psychologists, and terribly frustrating for dieters. As you lose weight and begin to see results, a new behavior starts up. Unfortunately, it’s not a helpful one, quite the opposite. After three to 8 weeks, your self-sabotaging behaviors emerge. No one knows why, but everyone consistently experiences it. The good news is now you know. I called this self-sabotaging behavior: “Transferring the Binge”. This very important personal hypnosis session deals with all the underlying reasons why you ‘fall’ off your weight loss program. And keeps you on course. The advantage of exercising are too many to mention here. But many people are turned off by the work and sweat involved. This hypnosis session isn’t about getting you into a “boot camp”. It’s about gradually increasing your exercise levels, creating those ‘feel-good” endorphins and using exercise to help you reach your weight loss goals. We all need motivation to achieve any goal. Without motivation, we would stay in bed all day. This personal hypnosis session focuses on good food choices, exercise and maintaining your weight loss program. We will bring out the motivation you already have and use it to propel you effortlessly towards your ideal goal weight. Drinking good clean water is one of the unsung secrets of weight loss. Substituting water for soft drinks, coffee, tea and alcohol can slim down your waist and thighs. Initial weight loss is mainly due to loss of water, and you need to drink more water to prevent dehydration. Burning calories needs water in order to function efficiently; dehydration slows down the fat-burning process. Dehydration causes a reduction in blood volume; less blood causes reduces the supply of oxygen to your muscles, which can make you feel tired. Water helps maintain muscle tone, and lubricate your joints. Proper hydration can help reduce muscle and joint soreness from your exercise program. THESE VIDEOS ARE DOWNLOADS, NOT PHYSICAL PRODUCTS. YOU WILL NOT RECEIVE DVD’S. “I’ve only been listening to the weight loss recording for just over a week now but I’m already finding a change in how I perceive junk food… it just isn’t a priority anymore. 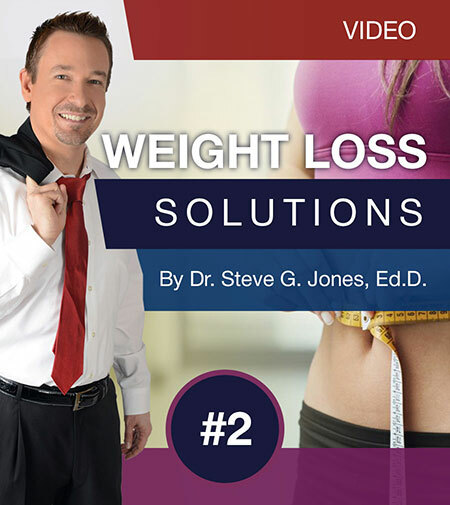 Take a Full 60 Days to Put Video Weight Loss Sessions to the Test! Watch each video daily for a week. After 6 weeks you will be amazed at the quantum leap your health and fitness levels will have taken. You will be well on your way to permanent mindset changes which will support your weight loss goals instead of undermining them. In this personal video hypnosis session, you will dial up your metabolism, using the M Dial process. When we speed up your metabolism, we increase your rate of fat loss. Do you follow the Biggest Loser Diet? South Beach? Weight Watcher’s Point Plus Diet? Jenny Craig? Paleo Diet? Or some other diet? This program will help you dedicate yourself more to your diet. You will stick with your diet plan until you achieve your weight loss goals. Your brother inhales pizza three times a day and never gains a pound, while you watch your carbs, calories and sweets, and still haven’t lost an ounce. He must have a fast metabolism, you decide, while you seem to be cursed with a slow metabolism. Should you throw in the towel and forget about dieting? No! It is time to turn yourself into a Fat Furnace. This personal hypnosis session will charge you up so you can get rid of fat more efficiently. If you feel tired, how do you think you will do sticking to your weight loss plan? Chances are you won’t. This personal hypnosis session will naturally enhance your energy levels, and keep you on track. “My name is Dr. Irina Webster and I specialize in the area of Eating Disorders. I would just like to tell you I have been sharing your Anorexia, Bulimia and Binge Eating CDs to my clientele, and the great success that people are reporting to me by using your Hypnotic information. “My patients say it is the fact that they can play them at night while they relax in bed and listen to your CD that is making the difference to them. They report that in the morning they feel wonderful and their urges are reduced. “I have personally found they are a great compliment to my own eating disorder program and have made a huge difference in the recovery process of many sufferers. Finally, you’re also going to have all the tools and mindsets you need to transform your weight — and life — for the better. Quite frankly, the opportunity to have personal hypnosis sessions at the hand of a top clinical Hypnotherapist is priceless. Dr. Steve regularly charges $25,000 for a two-hour live, in-person hypnosis session on the exact same topics you’ll be watching! If you had to pay that rate, this ten session series would run you quite a bit of money for 10 sessions). Fortunately, you won’t pay those sky-high prices. By recording personal hypnosis sessions on downloadable videos, I am able to make these life-changing sessions available at a far more reasonable price. You can access the Video Weight Loss Sessions for a one-time investment of only $690. All for only $690– $23.50! Please take a moment to enroll now, using our secure Online order form. …this video hypnosis series will have the power to help you achieve your weight loss goals like none has before. I personally look forward to hearing about your success from this series of personal Video Hypnosis sessions, the deepest and most powerful sessions that we’ve ever presented. P.S: One more thing — I can’t stress enough how Video Weight Loss Sessions is for you ONLY IF you’re serious about losing weight. And there’s no reason why if you use your personal hypnosis sessions, you can’t start losing a LOT more weight than you are now. Remember, you qualify for our rock bottom, limited-time, early-bird offer of only $23.50! P.S.S: Or you can try the doctor-supervised, low-calorie diets Optifast and Health Management Resources, which cost around $2,000 for the first three months. Unfortunately, the data on their long-term success rates are not highly promising, according to researchers. “Hello, I just wanted you to know that I have lost 15 pounds since I started listening to your weight loss hypnosis CD. “Thank you so much for uncovering my inner-strength so that I could be successful at losing weight.